OWSA's mission is to make learning the art of sailing accessible to any woman who wants to learn. For this reason we keep our annual dues low. It is through the generosity of our amazing donors that we are able to offer programs that present learning opportunities to our members. We are very grateful for the many sailboat owners who give of their boats, time, and knowledge to help make our Wednesday Night Sails, races and sailing classes a success. 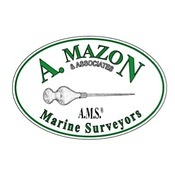 We are so grateful for the support Alison at A. Mazon & Associates has provided OWSA. She has gone above and beyond in supporting OWSA by inspecting boats, providing direction on boat maintenance and making a classroom available for classes throughout the 2017 year. Colleen Bennett, owner of Columbia River Marine Assistance, has supported OWSA for many years and has extended service and education to countless members. Island Sailing Club has generously donated memberships and classes for several years. Their annual donation enables OWSA members to improve skills, gain confidence, and get ASA certified. Each year four OWSA members are given scholarships through our ISC Program. 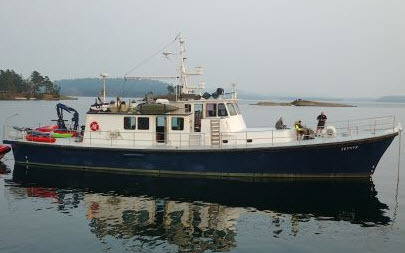 McCuddy's Marina has been a generous donor from the onset of the B.O.A.T program. Zephry-NW. Long time friends and prior members of OWSA, Captain Ron & Captain Ashley go out of their way to continue to be a part of our club, with life saving demonstrations and great rates on trips. Check them out, you wont regret it!